February 17, 2015  The legendary slugger, suspended for drug use, denied for a long time that he had done anything wrong. Now, in a handwritten letter, he tells fans he takes "full responsibility" for his mistakes. January 14, 2014  Newly released court documents tell a narrative that sheds light on the secret world of performance enhancing drugs in professional sports. They detail surprising actions taken by both Rodriguez and Major League Baseball to hide or uncover a major doping scheme. 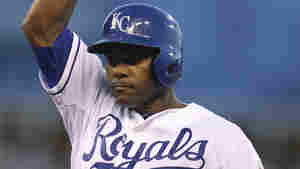 January 13, 2014  Rodriguez also made public a decision by an independent arbitrator who ordered a 162-game suspension. 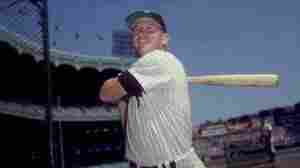 The Yankees third baseman is accused of using performance-enhancing drugs. January 11, 2014  The independent arbitrator upheld most of a 211-game suspension handed down by Major League Baseball. 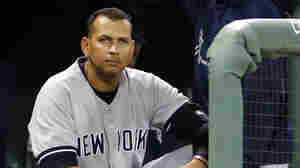 Alex Rodriguez said he would appeal the decision in a federal court. August 5, 2013  In his first at-bat following Monday's announcement of a 211-game suspension, the crowd in Chicago let the Yankee know what they thought of him. 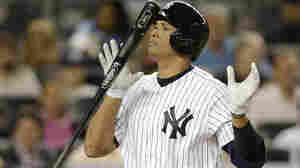 After Braun's Suspension, Is A-Rod Next At Bat? July 23, 2013  Milwaukee Brewers star Ryan Braun has accepted a 65-game suspension because of the evidence linking him to a Miami-area clinic that allegedly sold performance-enhancing drugs. 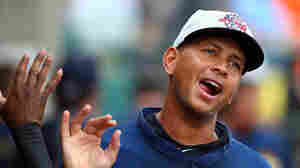 The Yankees' Alex Rodriguez and other players have also been tied to that clinic.